This spot was just recently completed for Young and Rubicam Advertising in Toronto, Canada. It involved a print ad for magazines and two 15 second animated sequences intended to introduce Whitehall-Robin’s new Extra Strength Advil product. 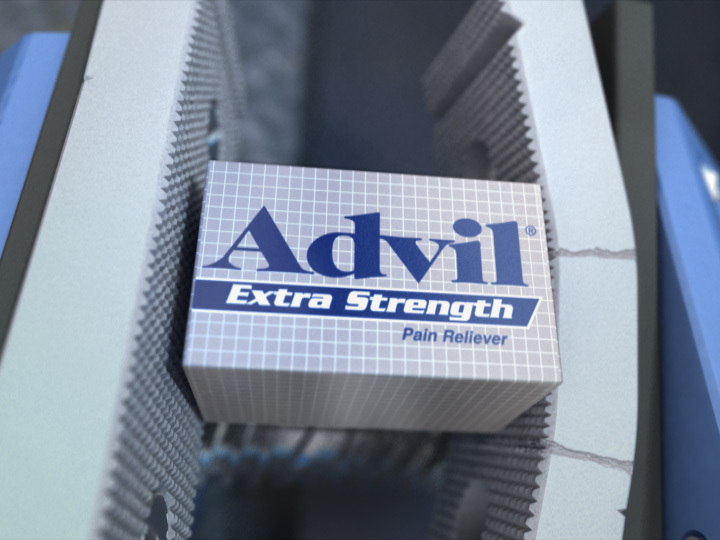 The concept was to show an unidentified box/surface impervious to even the toughest of forces, which is then revealed to be a box of Extra Strength Advil. The commercials were both produced in under one and a half month’s time. 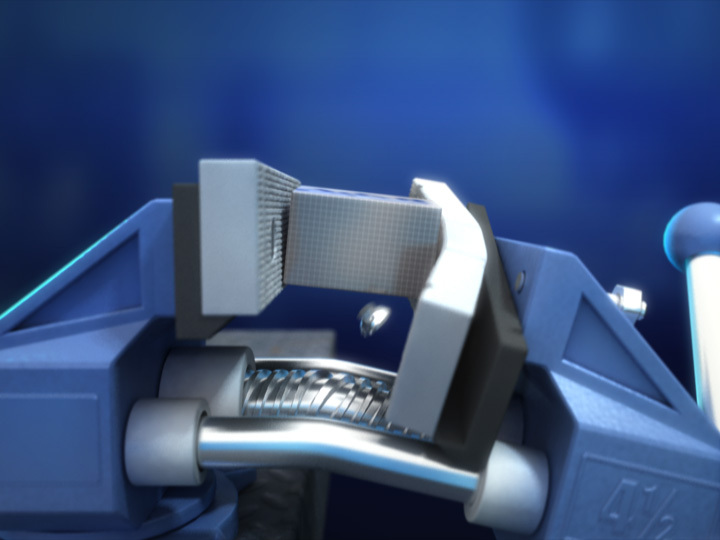 The model was rigged entirely using expressions so that as the crank was turned, the grips would tighten and warp accordingly, the metal bar would bend accordingly, and the shaking would increase accordingly. This helped facilitate an immense amount of animation which had to be redone every time there was a client or agency change. Vray performed very well for rendering, averaging about 30 mins to 1 hour per frame, using full global illumination, motion blur and depth of field combined. Rendering was done in one pass due to the interactive nature of GI, with multiple masks for independent object editing during compositing. These spots were modeled and animated with 3dsmax 4.2, rendered with Vray 1.07 and composited with Combustion 2.0 (by Brad Husband).